When I was growing up, James Beard, Julia Child, Craig Claiborne and Jacques Pépin were the people I admired when talking about great food and the culinary arts. I watched James Beard and Julia Child on television and treasured their cookbooks. Other cookbooks on our kitchen shelf included the Joy of Cooking and The Good Housekeeping Cookbook. Not to be forgotten was the wooden recipe box filled with family favorites and recipes clipped from newspapers and magazines. Things were simple back then. Fast forward to 2012. There are now more cookbooks, chefs, television cooking personalities and food drama than one could possibly ever imagine. Chefs are rock stars and Food and Wine Festivals are popping up like champagne corks in cities all around the country. There are approximately 6 million food bloggers worldwide (at last count) and it seems that everyone is obsessed with food. When is the last time you dined out and didn’t see someone snap a photo of their meal or cocktail? 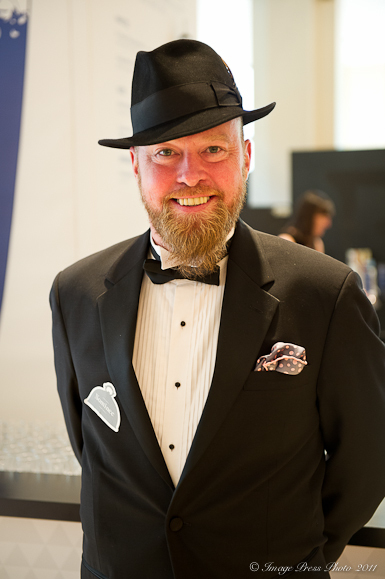 The JBF is celebrating its 25th anniversary this year and I was honored to be one of three finalists in Journalism Awards for Best Individual Blog. 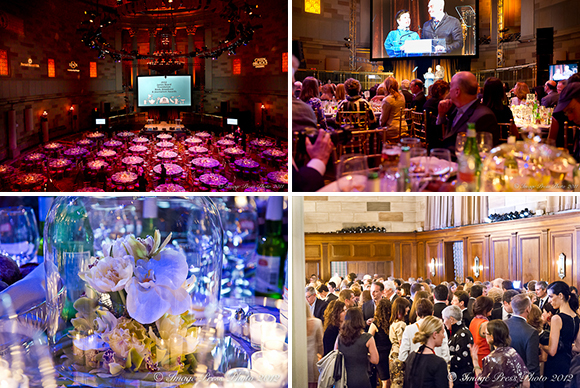 We attended the Book, Broadcast and Journalism Awards dinner on Friday, May 4th at the gorgeous Gotham Hall in New York. This ceremony was hosted by Chef Michael Symon. Sitting with the winners of several Beard Awards, including the authors of Modernist Cuisine (they won two awards, including Cookbook of the Year), made for an exciting evening. When the award for Best Individual Blog was announced, my name wasn’t called. I have to admit that anticipation was filled with disappointment that can only be healed days later reflecting on the honor of making it to the short list. A sincere congratulations to Elissa Altman, of Poor Man’s Feast, who won the award this year (her 2nd nomination) and to the other finalist, Aran Goyoaga of Cannelle et Vanille. CONGRATS on your nomination – that is huge and a big success in itself! thanks for the review, this was a fun read! Thank you so much. Yes, there were a lot of great nominees from the Portland area. I loved it when I visited last year. Great food and wine town! Congratulations on your nomination! It’s so great to see a quality blog, like yours, getting the recognition it deserves. Thanks so much! It’s hard to believe it wasn’t all that long ago when we were at Camp Blogaway! 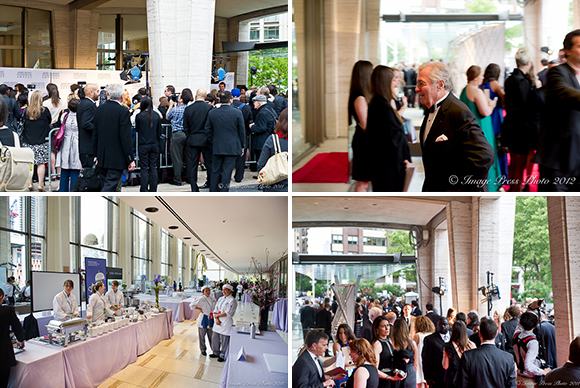 Thank you for sharing photos from this amazing event and congratulations again on your nomination. How exciting! It’s so true how much things have changed in the culinary world and I wonder where it will be five or 10 years from now…. Thank you so much. It will be interesting to see what happens in the next ten years. The change has been so dramatic in the past ten, it’s truly remarkable. Who knew there would be 6 million food bloggers in addition to all the television hype, cookbooks and food stars?! What an absolute HONOR! I’m so impressed with your blog and all the work you put into it! Camp Blogaway seems like a lifetime ago, but so happy to have met you there! Keep up the good work! Thank you so much for your comments. Camp Blogaway does seem like a lifetime ago! Hard to believe how exciting things have been since that time just two years ago! Maybe we will meet again at another conference in the future. You looked wonderful, which is ever so important and it’s absolutely thrilling that you made that short list! Fashion comes first. 😉 It was fun to dress up and go to the big night in NYC. Very exciting. I agree. Very happy to have made it to the short list and it is still hard to believe some days. BTW, I appreciate your support over the years! How fantastic! What tremendous recognition of your blog. It doesn’t get any better than this. Well deserved. Thank you for the comment and for being one of our most faithful readers. So glad that you found me through Beamer. 🙂 I have enjoyed getting to know you. Congratulations again for your (first?) well deserved nomination! I’m sure it’s going to happen again! Thank you and yes, this was the first nomination. It would certainly be an honor to make it to this point again. Fingers crossed for next year. Congratulations Gwen & Roger on this wonderful nomination! your Food & Travel Blog paid off. Thank you for the comments and your support. It has been a wild ride since November 2009 and there is lots more to come in 2012! What a weekend! And I love your picture outside of the gala ~ beautiful! Keep doing what you do and I know you’ll be back (second time’s the charm). It was a very inspiring weekend. How many times to that many culinary legends come together in one place? Thank you for all of your support and we hope to continue on with more exciting adventures on the blog! Sounds like such an incredible evening! It is often hard not to be disappointed, even when you know it’s great just to be there. You were in fabulous company though, and a win would have been well deserved! Here’s to hoping for a win next year! Thank you so much. It was a bit disappointing, but I am so happy and honored to even be on the short list. It is very exciting. Thank you so much for your comments. I really appreciate your support. 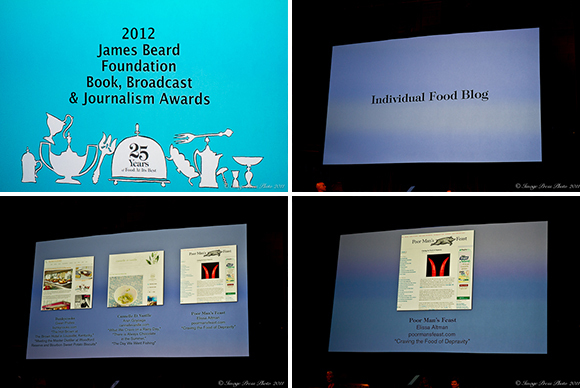 It is a tremendous honor to have been nominated and I am thrilled that your blog was among the ones to be considered. What an amazing experience it must have been to hob nob with the culinary elites, that is a prize in itself. You look stunning in that beautiful black gown!